Jumbo green kalamata’s in a lemon and pepper is a typical marinade for Mediterranean meals. Jumbo green kalamata’s in a lemon and pepper is a typical marinade for Mediterranean meals. There is nothing better than after a long weeks work getting together with your colleges for drinks and tapas. 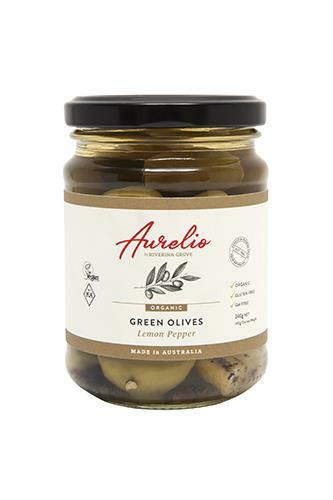 The smooth lemony taste of Aurelio Green Olive is fantastic with hummus, tzatziki and finished off with a nice crisp Riverina white wine.